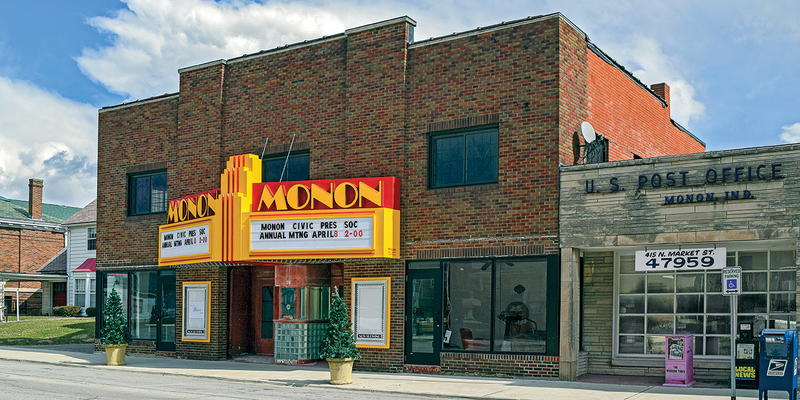 Monon preservationists are working to revive the city’s 1938 theater as a community gathering space. You might guess that Monon, a town of 1,725 in northwestern Indiana, is a railroad town. When the railroads declined, so did the town. Its downtown theater managed to hang on until early in the current century, when it closed after losing its audience to a new movie house built on the outskirts. 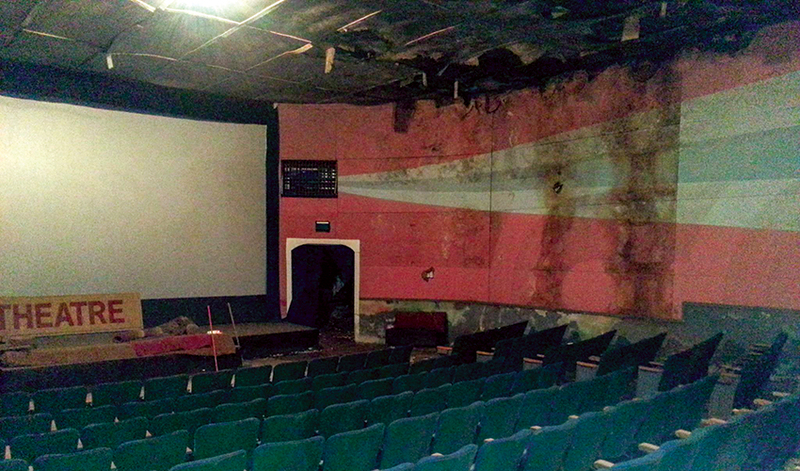 By the time Monon Civic Preservation Society purchased the 1938 Monon Theater in 2013, the years of vacancy showed. “Water poured in through holes in the roof, ran down the aisles and out the back door,” says Julie Gutwein, the group’s secretary. The all-volunteer group, an Indiana Landmarks affiliate, used one of our Efroymson Family Endangered Places grants to assess the rehabilitation needs and costs. 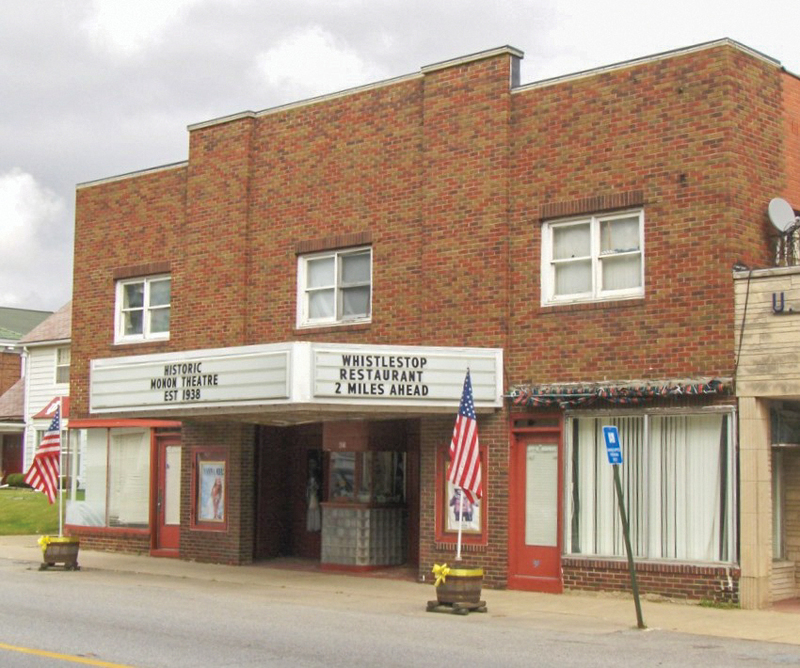 When the preservation society acquired the building in 2013, the exterior had lost the original marquee and architectural character. 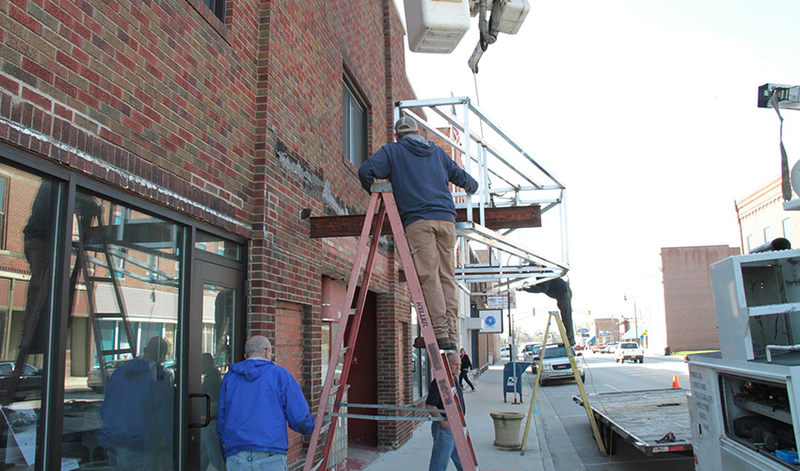 The group won $42,500 in grants from North Central Health Services and Tippecanoe Arts Foundation to install a new marquee with an Art Deco-influenced design. Last October, a crowd gathered to see the inaugural marquee lighting. Other donations funded the re-creation of the exterior show cases that once held posters of coming attractions. The Monon Civic Preservation Society also raises money by hawking concessions at local ball games and at elementary school movie nights, selling calendars, and serving lunch at chamber of commerce meetings. At the annual town festival this June, a silent auction and tag sale of donated Coca- Cola memorabilia, held in a historic building downtown that once served as a bottling plant, benefitted the restoration. Remember the moldy seats? 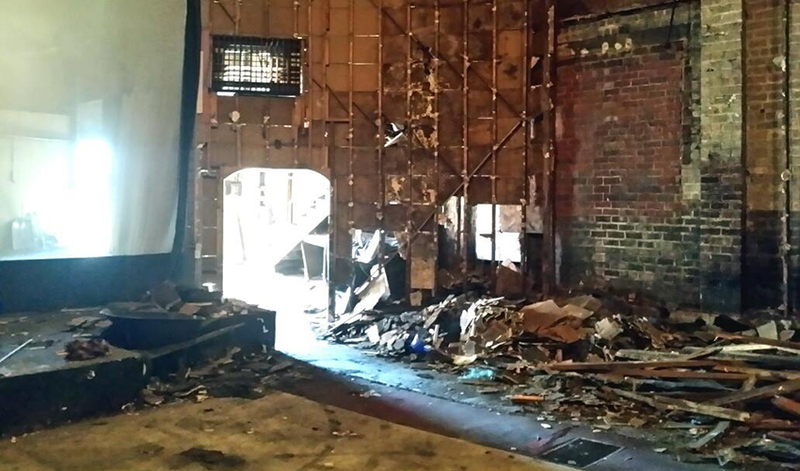 You can adopt a seat in the ongoing campaign to raise the money to buy new seats for the auditorium.